Are the best days behind us? While that may be partially true. There’s still a lot of travelers, tourists, and business men/women needing short term rental services every day! And, there are new properties constantly being built. Which means those who get in now, will be in a prime position to get passive income through Airbnb and can run the business in a way where you do not even physically have to be there! This is like getting in early on e-commerce. Imagine if you’d got in on e-commerce when it was new? This is not guaranteed to make you money. But it can help you reach your financial goals faster than what you’ve tried before, even if you know nothing about Airbnb! Click the buy now button at the top right of this page! I'll admit, I was pretty darn skeptical about the quality of the content in this book. I've never been into this sort of industry, so had little context going in, but the author comes across like they really know their stuff. The narrator does a good job of making the content interesting to listen to. That's about as much as I can coherently say about this one. 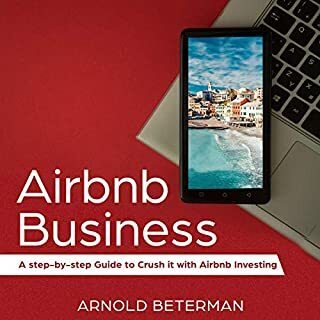 If you were ever thinking about getting into the Airbnb business or wanted to know more about it, this book is a great place to start. It lists some pros and cons of the entire thing and how to plan and execute the entire process. 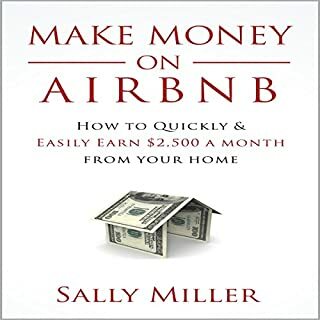 It breaks down a lot of the things required in doing an Airbnb and having never delved into the subject matter before thought it was laid out well and very informative. The narration overall is solid and gets everything across pretty well. 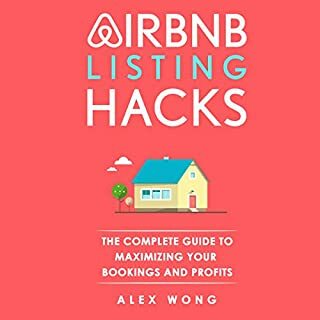 This is a great place to turn to if you are just starting or want to start in the Airbnb business. I like that not a whole lot of fluff in here. some real actionable insights. I am a total newbie in this topic, I understand the basic principles of renting houses but only for long term so this title called my attention. 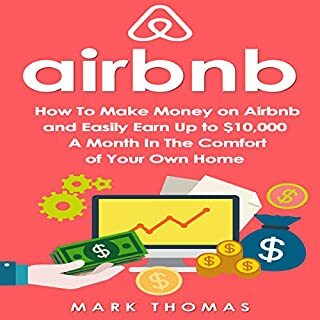 I liked the content of the audiobook, it is very informative and mentions a lot of the terms and conditions of AirBnB I would say. I found useful learning about the existance of AirDNA and chapter 13 is where it is explained how to become a 6 figure income host (automation of the business and quantity). The audiobook is like a guide for beginners, it would give you a roadmap for you to actually go and explore what you can and have to do. With that in mind I could go and learn more about what I think I would personally need to focus on, it is a good start and you would only need a bit more than 2 hours to learn the basics of this business! This audible "audio" book is a must Listen. 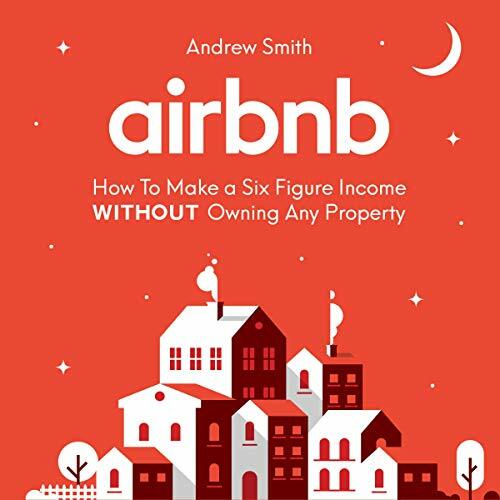 The book goes into all the planning and well thought out pros and cons of the AirBnB market. It goes into rental arbitrage and other newer concepts that the vast majority of the public doesn't know exists. This short Audio book can give you some unique ideas on making money in this fast growing industry. Some of the tips are not for everyone but most people will benefit from the ideas which are delivered by a good Narrator. Amazing insights into the AirBNB business. Profound knowledge and audio is easy to hear. Phenomenal listen. 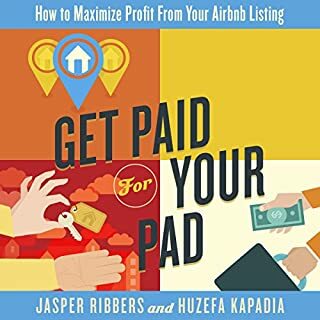 Excellent listen on how to be successful in the AirBNB business. 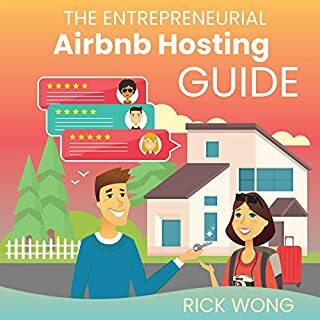 I recently started using AirBNB as a guest and was interested on how to earn income as a host. The ideas presented in the audiobook were very informative and I can't wait to get my business up and running. This was a very good and insightful no BS book. Its something I not only enjoyed listening too but learned quite a bit on money making. It keeps it simple but also goes in dept on certain techniques. I knew some things about airbnb before I ordered this audiobook and didn't think it would teach me new things. But, I was pleasantly surprised and learned valuable information. The narrator was very captivating and I'd listen to this on my way to work. I highly recommend the audiobook.